PID #9 Come to the Poconos and enjoy the R&R that you deserve. Whether you are here for summer time fun or a winter getaway, this is the home to stay in. 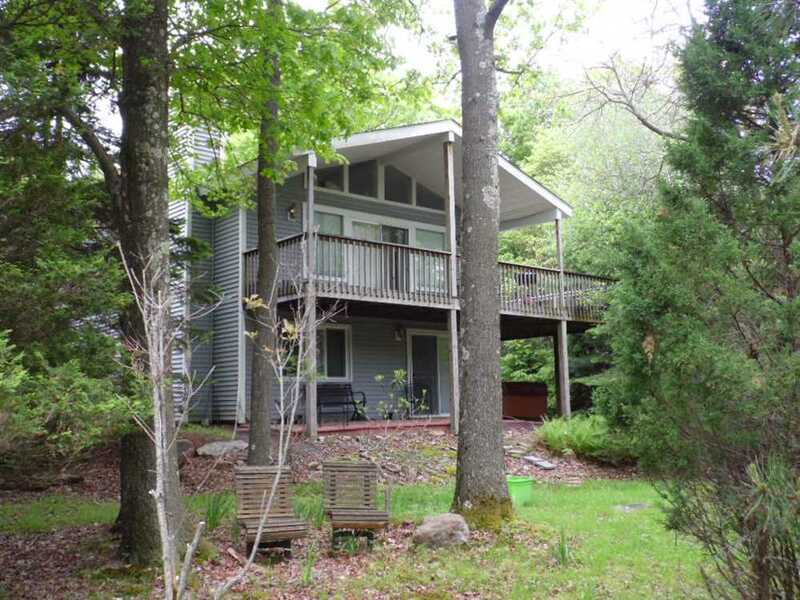 5 bedrooms 2 baths and is located near major Pocono Attractions. Please inquire for actual rates! Our homes are supplied with dishes, cookware, pillows and blankets. PLEASE BRING towels, dish towels, linens and paper products. Linen service available upon request and additional fee. This home accommodates 10 people. Please do not exceed this number. Notice to tenants: You will receive 8 passes to use the amenities for your entire stay. Tenant and Tenant's guests may rent boats at a nominal fee. Do not bring personal boats, paddle boards, etc. Please Do Not Bring Pets. For health reasons we are unable to allow them in our homes. This is a Non-Smoking home. Smoking in this home will result in forfeiture of security deposit. Please observe your check out time of 12:00 pm. If there is a problem, please call our office immediately or you may be charged with an extra day.